By no means am I a makeup pro. I sometimes get referred to as a #bblogger and as much as I love cosmetics, when it comes to applying them I get a little overwhelmed. For a long, long time I used my fingers to apply my foundation. It seemed to do the trick alright but then, I discovered the wonderful world of youtube tutorials and so many vloggers insisted that this was a big no no. Think of the cross contamination they said, the oils in your fingertips will change the colour they said. I decided I needed to stop this madness straight away and ran off to buy the much raved about Real techniques brushes. I had no idea how to use them properly but hey I was equipped if I ever did somehow wake up with the skills of a makeup artist. 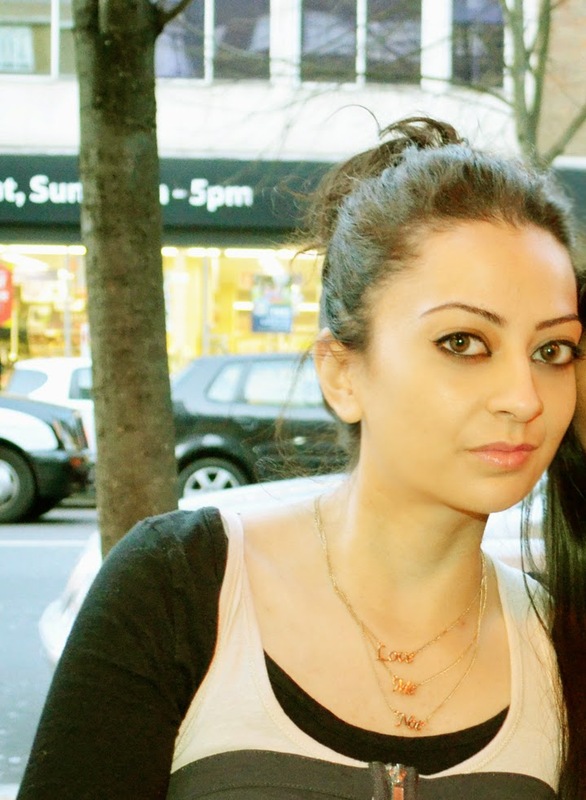 My skin then went through a terrible few years where acne really got the best of me and despite covering my skin with foundation every day, I didn’t care how it was applied as long as it covered the redness and spots. Fast forward to a few years later, I now have spot-free skin but sadly a lot of scarring. Now that most of the redness has faded and I have more of a ‘blank canvas’ to work on, I can see that I need to take time and care when applying foundation in order for me to get a more flawless finish. With scars it’s a little harder to apply foundation as it doesn’t always get in all the scars or ‘potholes’ or whatever you want to call them, when using a brush. Since I have sensitive skin, I sometimes found my stippling brush a little harsh on my skin and really needed an alternative. As I took to the twitter universe to vent my frustration, it answered me and I had all sorts of recommendations for beauty blenders. Tempting as they seemed, I was still skeptical about buying something I wasn’t sure about using. 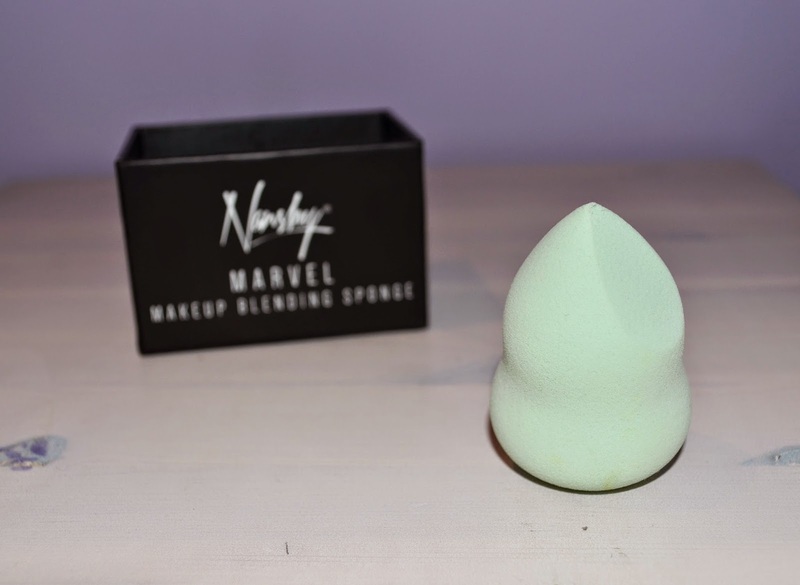 Right on cue, last week, I was offered the opportunity to try out Nanshy’s Marvel 4in1 Beauty Blender, a revolutionary take on an age old make up tool. I did a bit of research before it arrived and by the time it arrived I knew straight away this would be one hell of a product and boy did it live up to my expectations! It arrived in a neat little black box. The packaging was simple and required very little faffing around to get to the actual product. 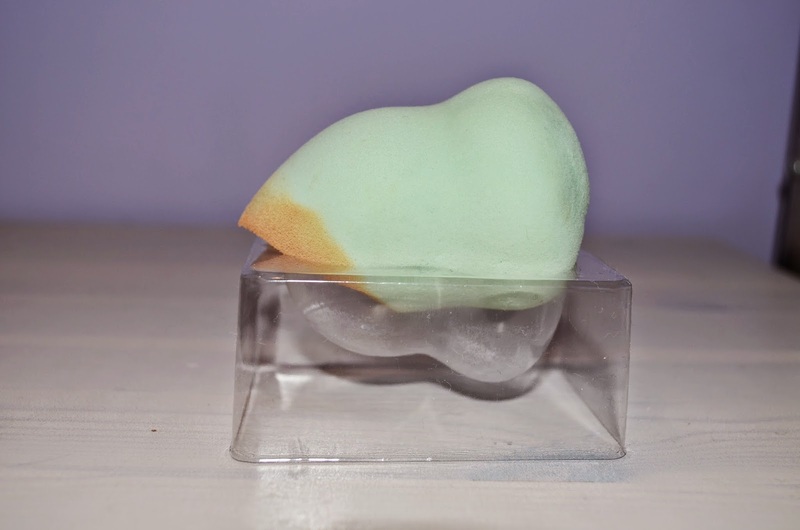 The beauty blending sponge is a lovely mint green in colour (one of my favourites!) and was…well..as expected – spongy. I swept it across my face just to feel how it felt on my skin, it was so soft that I barely felt it on my face. The sponge itself is ergonomically designed to be used to it’s full potential. This means that it can get it every little corner and dip on your face, whilst also being able to blend out the larger areas with ease. Plus, there’s no more fear of dropping the foundation covered sponge down your going out-out top or on your beige carpet, as the “waist” makes it much easier to grip. Is there anything these guys haven’t thought of?! One of the reasons I kept putting off buying a blending sponge was I hated the idea that it would soak up more foundation than it would be putting on to my face. Well, now let me tell you Nanshy have come to the rescue yet again, as their micro-pore formulation allows for the beauty sponge to remain damp throughout use. This means that if the sponge is retaining water, it’s not going to be retaining your foundation! How hard could it be? I wasn’t too sure what pillow-like appearance meant initially but once I had submerged it in water I could see that it had retained the water. So this is how the sponge is kept damp, it all began to make sense now. Definitely not just a marketing ploy, it really did what it advertised. I use a cream foundation (MAC pro full coverage) so I’m not sure how different it would work for liquid foundations in terms of soak-up, however I found that it was pretty much all going on to my face and not into the sponge. My other concern was that, if the sponge was damp, would this water down my foundation? In short, no. it just kept the sponge softer and face-friendly. I was easily able to build up my coverage to just how I liked it. Generally I use a silicon based primer to help me even out my skin but for the purpose of this review I decided to skip it and see how well the sponge worked on my problematic skin. I’m just gonna come right out and say it, where the hell have you been all my life Nanshy?! The sponge got into all the little dips and corners and the pointed tip made it easier to get into the inner corners of my eyes and sides of my nose. Even with a stippling brush I find that I still get the odd few streaks or patches here and there but with the beauty blending sponge I had even coverage throughout. The pic below is my foundation (with smashbox photo finish primer) applied with the makeup blending sponge. More than anything though, my quest to become a complete vegan & ethical cosmetics user has been made so much easier with the discovery of Nanshy. The beauty blending sponge in particular is latex free, non-allergenic and odour free. I’m definitely looking forward to giving their other products a go. What do you think of Nanshy Products?